Hands down the best paleo Whole30 tahini dressing in the worrrrrld. 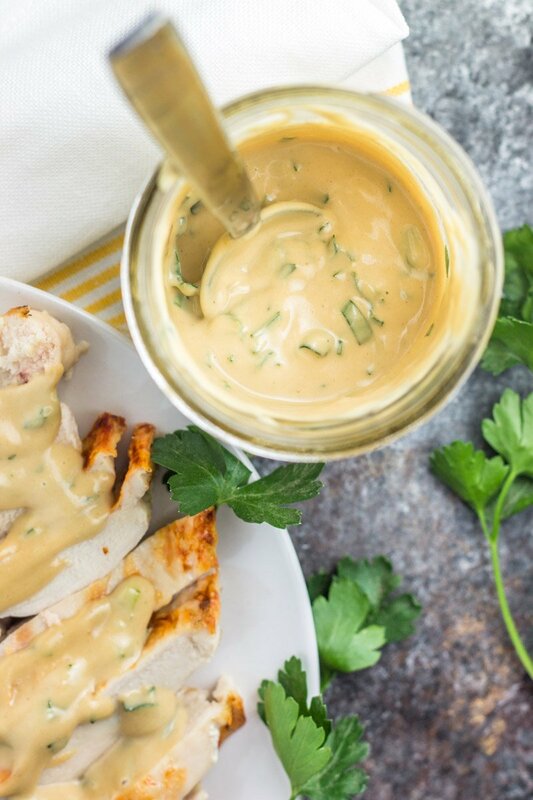 This simple and flavorful tahini-based sauce tastes amazing on salads, roasted vegetables, and protein like chicken, steak, and fish. You’ll want to drizzle it on everything! Like, what would have happened if I discovered tahini at 16 years old? Maybe I would’ve created a dessert hummus before that was actually a ‘thing’ and eventually ended up on Shark Tank as a teenage food genius? What if tahini was a staple for me in college? Would I have created an innovative, never-before-designed squeezable container to bring tahini everywhere you go, presented it in my senior marketing class, and eventually courted an investor and made a million bucks or two? WHY did it take me so long to find and fall in love with tahini?!! 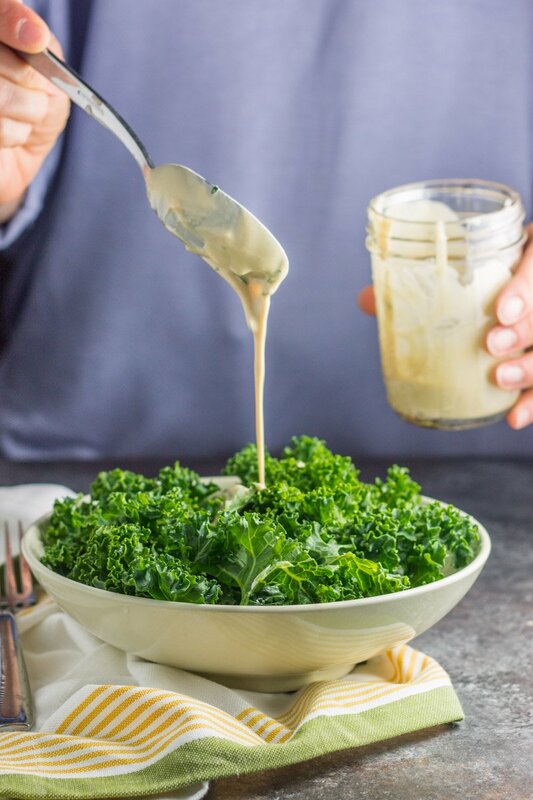 This is the best paleo Whole30 tahini dressing on the planet. Hands down, cross-my-heart, I won’t mislead you on this. 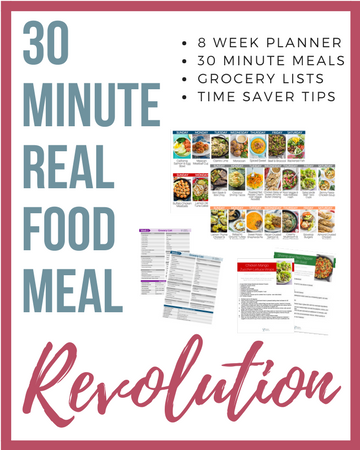 It’s simple to make, keeps well in the refrigerator, and tastes bomb.com on everything. I love it drizzled on my lemon butter sauteed kale with garlic, or dolloped all over grilled chicken, even smothered over ANY roasted vegetable known to man. It’s universally perfect. 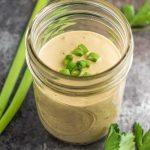 It takes just a few minutes and simple ingredients to whip up the best paleo whole30 tahini dressing you’ll ever taste. All ya need is tahini, coconut aminos, red wine vinegar, and a few fresh herbs for complete dressing/drizzle/sauce perfection. Keep the dressing the refrigerator 7-10 days, no problem. It might just change your life (or your grilling game this summer). 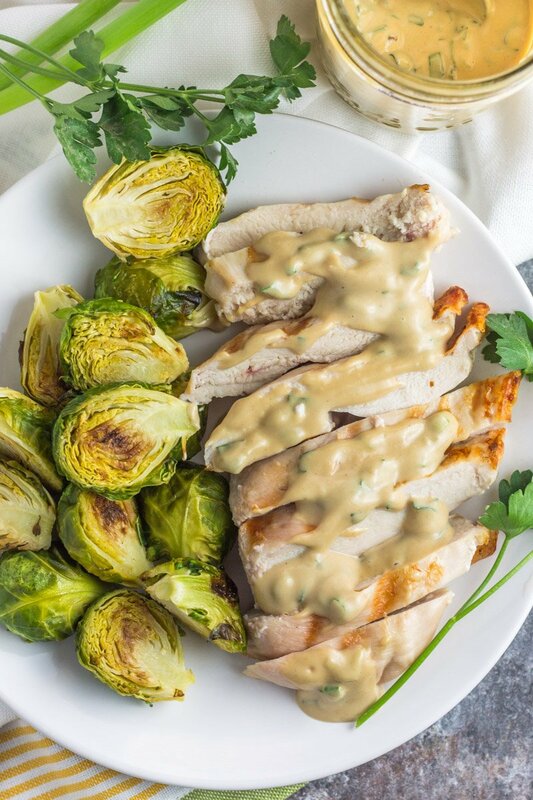 Time to jazz up boring meals with the best paleo Whole30 tahini dressing. It will be a dinner fav for both adults and kids. 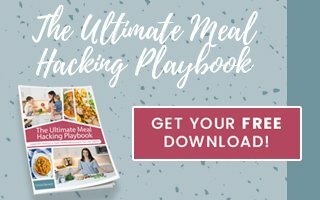 Try it on these recipes to take them to the next level! Lemon Butter Sautéed Kale with Garlic, Whole30 Smoky Sweet Potato Zucchini Burgers, Italian Turkey Kale Roll Ups, or replace the dressing in this Whole30 Meatless Power Bowl. 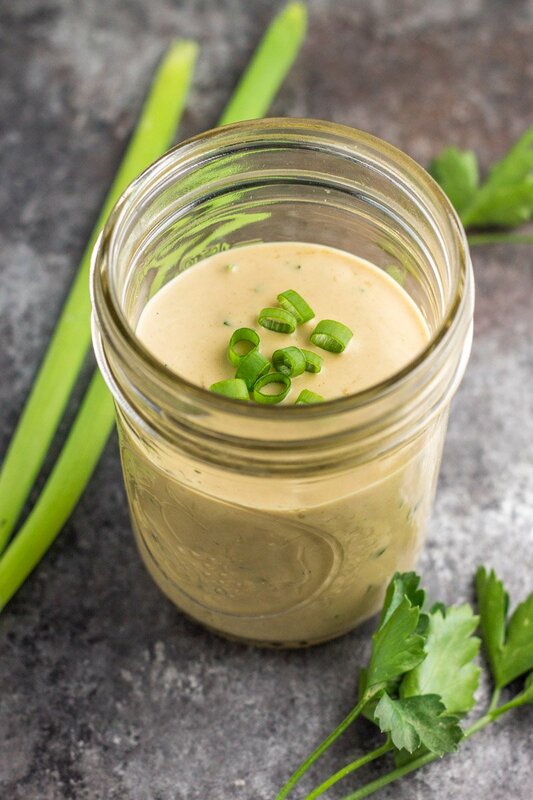 The most amazing and versatile paleo, Whole30 tahini-based dressing. Tastes amazing on salads, roasted vegetables, meat, fish, or used as a dip for anything. Simple ingredients and big flavor. Hmm, I’m not a fan of parsley, can you taste it in the dressing? I do add it (along with dill) to homemade ranch and don’t seem to taste it. You can omit it, but much like ranch, you can’t taste the parsley specifically. Right?!?! Never lasts long in my house either. Glad you love it Marisa! Thanks for your note Melissa! Enjoy this one!